Obviously I’m a girl who loves a good pampering and my go-to salon is in my home town of Matlock – The Beauty Lounge. I’ve known Hayley, who owns the salon, since school and have been going to her for my Shellac nails for at least six years. When I got back from Skiathos last month I was invited to go to The Beauty Lounge for an Environ Advanced Active Vitamin Facial. I’d never before had an electric facial so I was super excited and it was perfect timing as holidays are always tough on your skin – sunbathing all week and then the dehydration of being on the plane, even on short haul flights. The Advanced Active Vitamin Facial is results driven rather than just a relaxing treatement so it’s great for skin concerns and anti-ageing. 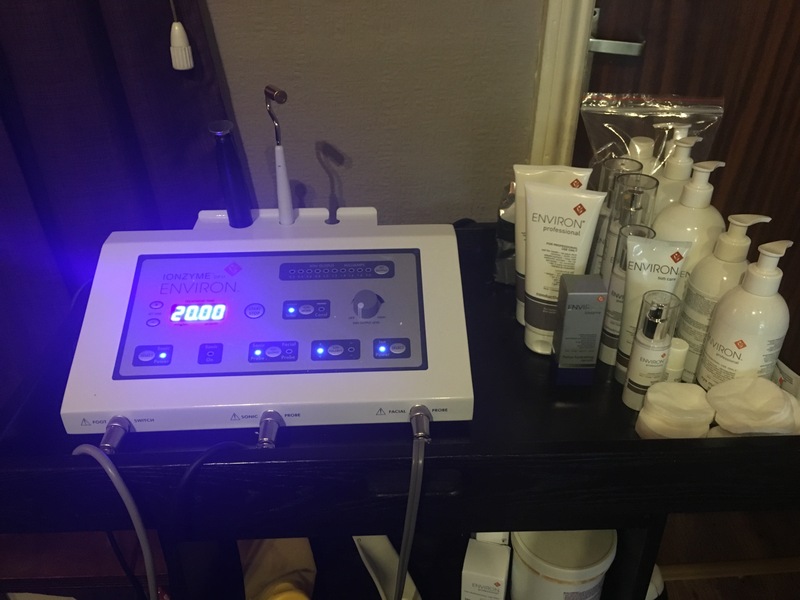 The treatment uses sound waves (soniohoresis) and small electrical pulses (iontophoresis) to enable the products to penetrate deeper into the skin – 4400 times deeper than a manual facial – to treat the skin at a cellular level. This means that the facial is the equivalent to 70 houts worth of constant facial massage. It’s also 12 times more effective than galvanic. Probably the most unflattering image of me ever! The products are applied to the skin and feel cool and lovely and then electrical pulses are applied to each area of the face at a time. Don’t be freaked out by the “electrical pulses” – they don’t hurt, you can barely even feel them! The sound waves make a small high-pitched noise which did make me jump a little bit! There is also part of the treatment where a mask is applied over your entire face, including your lips and eyes. Although I’m not claustrophobic, this did freak me out a bit at first, but it felt amazing on my face – so cooling. The environment in The Beauty Lounge is really relaxing and you’re made to feel comfortable throughout the whole experience. Hayley is super passionate about the products she uses and stocks in the salon and her passion is infectious. She’s really knowledgeable and talked me through every product she was using on my skin and gave me recommendations for products to use at home. 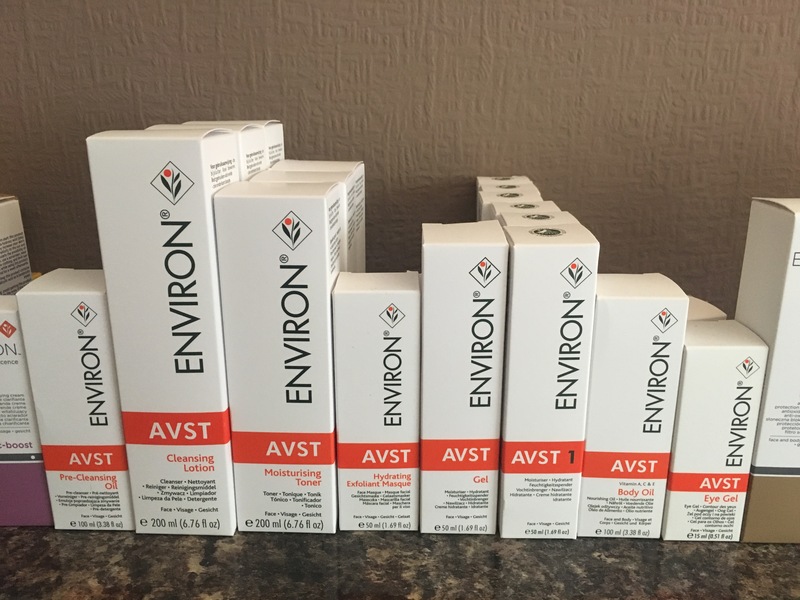 As the treatment introduces vitamin A into your skin, which has to be introduced gradually, it’s recommended that you use Environ products at home and have a facial every month so that you can increase the vitamin A and move on to the next products. Environ Advanced Active Vitamin Facials are available at The Beauty Lounge for £75 per treatment. I really enjoyed the treatment and afterwards my skin felt amazing and glowing not to mention the fact that it also really relaxed me. I would 100% recommend this treatment and Environ products to anyone.